Barcelona is a city of won der, filled with historical sites, modern art, and everything in between. But sometimes it is nice to take a step back from the city and head towards the mountains for a taste of nature. There are a lot of picturesque towns – perfect for day trips – situated nearer to the bustling Catalan capital than you might think, giving you the chance to explore Barcelona’s surroundings, without venturing too far from your temporary home. One of these places is Montserrat. Just about an hour north of the city, Montserratis amongst some of the most fascinating mountain towns you will find, and is home to one of the most important monasteries in Europe. 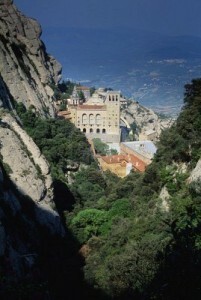 The main sight and attraction on the mountain is the Benedict Abbey of Santa Maria de Montserrat. This monastery attracts pilgrims from all over the world and is Catalonia’ s most important religious retreat. The abbey has been well regarded by all of the Catalan people for many years, and was seen as a place of refuge for scholars, artists, politicians and students during Franco’s regime. The mountain, at a staggering 1236 meters above the valley floor, offers an amazing panoramic view, and it is said that on a clear day, the island of Mallorca can be seen. The mountain has a length of 10km, while the width is 5km, making it a hiker’s paradise. Perhaps even more interesting, are some of the myths on how this amazing mountain came to be. One of the stories suggests that this “serrated mountain” was carved by little angels with golden saws, while the geologists blame 10 million years of nature at work. With a bizarre combination of theories ranging from those that believe the mountain was once under water, to those that say the active volcano, Soufriere Hills, helped to shape this geographical wonder, Montserrat offers far more than just a religious day out. A tour through the abbey is a must, especially to see “La Moreneta”, or the black virgin. 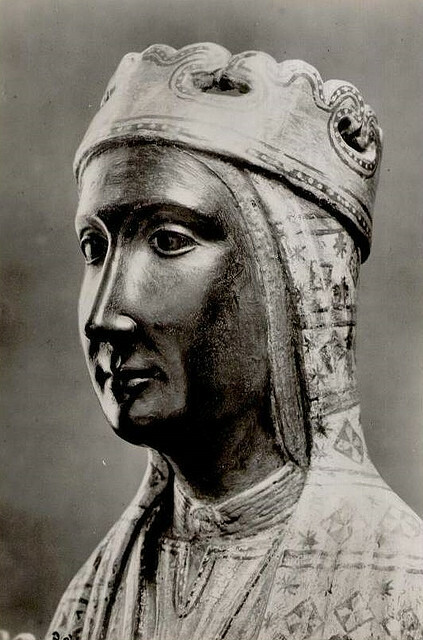 This statue has been guarded and protected by monks since the early 12th century. Pilgrims from all over the world come to Montserrat to touch the virgin’s golden orb with their left hand, while raising their right hand to show their respect to Jesus. 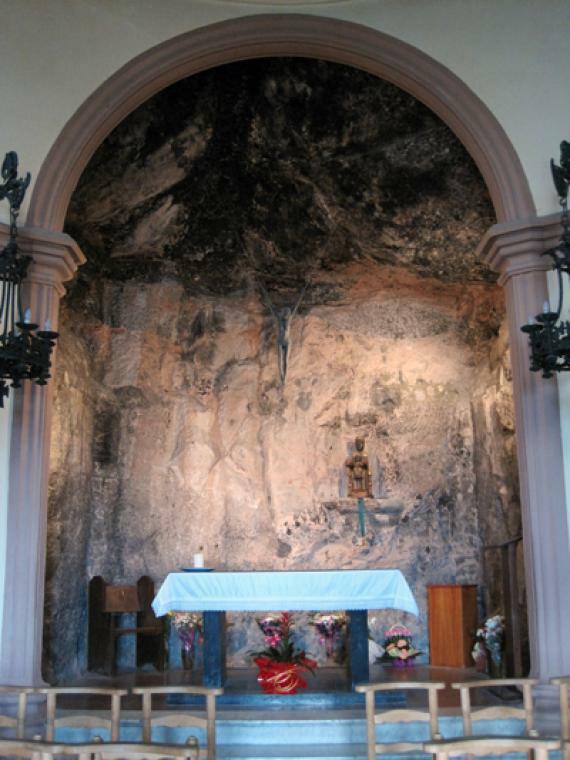 Originally, La Moreneta was located in the Santa Cova (sacred cave), a 40-minute hike down through the mountains. Though the original has now been moved to the monastery, a replica sits in her place inside the gorgeous cavern. Aside from the tour, at 1:00pm daily The Escolania, the Montserrat Boys’ Choir, is known to perform. One of the oldest choirs in Europe, it is made up of a group of 30 boys (composed of altos and sopranos) who live, study, and sing within the abbey, devoting their lives to their musical prayer. They are often joined by the Montserrat Chapel Choir and have expanded their performances to other parts of Catalonia. After a tour through the monastery, Montserrat offers you the opportunity to take in the incredible views of Catalonia. You can look over at the Barcelona city, while breathing in the fresh mountain air. If you are interested in walking or hiking, there are many different trails leading you to different vantage points on Montserrat. A few of these include a route down to the sacred cave, or up to the cross. Also, lining the main street, you will often find local food vendors selling treats of all different sorts. From honey, milk and cheese, to candles, books, and souvenirs, you will find a range of interesting items, a few of which are aimed at tourists, but plenty of which give you a taste of authenticity from Montserrat. 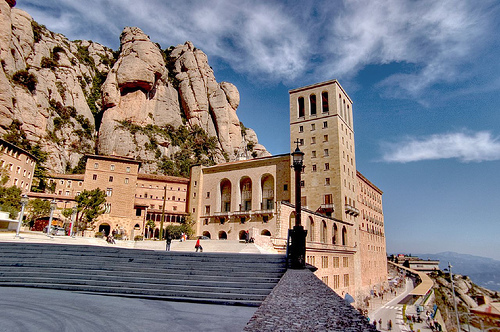 With so much to experience, no trip to Barcelona is complete without a visit to Montserrat. Many people choose to stay in one of the many city center Barcelona apartments, and travel to and from the mountain in the same day. 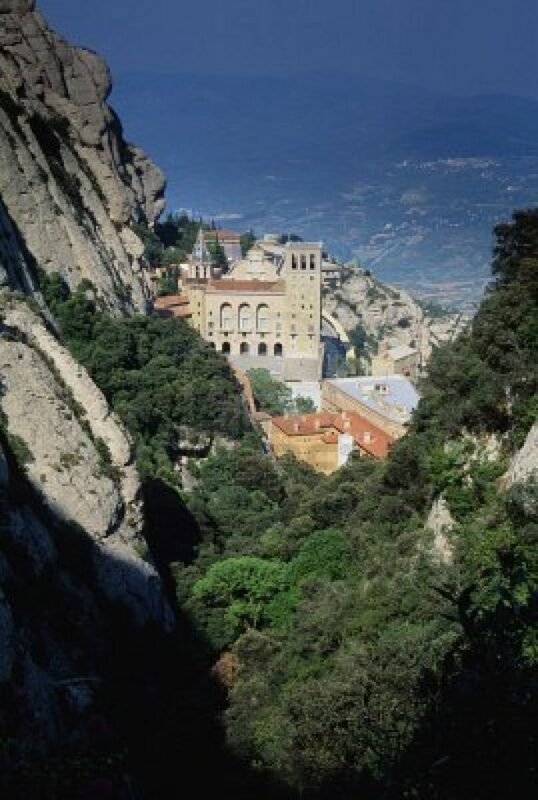 To get to Montserrat, you can easily take the train from Plaça de Espanya to the bottom of the mountain. In Plaça de Espanya, there are kiosks selling package tickets up to the mountain, and once you reach the bottom, you can choose between the cable car and the rack-railway to get you to the top. To take the cable car: Get off the train at the Montserrat-Aeri stop, where you can meet the cable car. On the way back down, the cable car leaves from the monastery around at 40 minutes past the hour.